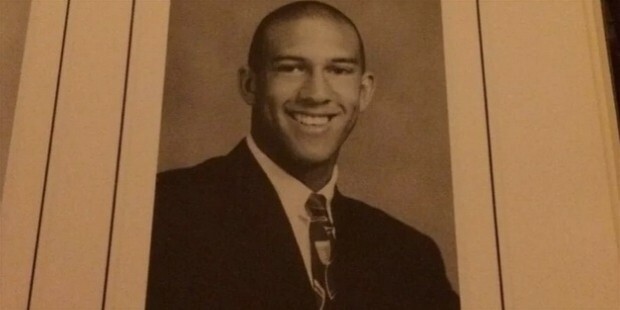 Tim Howard is an American professional soccer player who played as the goalkeeper for the US national senior soccer team as well as for the English club Everton. He is currently the most-capped goalkeeper in the US since his debut in 2002 as well as holding the World Cup record for making the maximum number of saves in a single match. Timothy Matthew ‘Tim’ Howard was born on 6th March 1979 in North Brunswick, New Jersey to Matthew Howard, a long-distance truck driver and Esther Howard (nee Fekete). His parents divorced when he was 3 years old and he began living with his mother who started work at a container packing distributor. In 1991, Tim was spotted for his amazing skill with soccer while a teenager, when he attended the coaching session by Tim Mulqueen, once the coach of the US U-17 men’s national soccer team who offered Tim free coaching lessons. 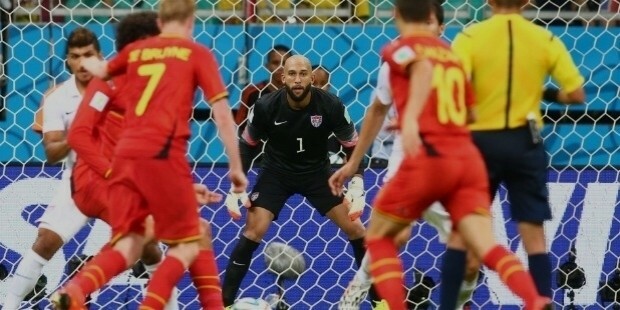 During his high school years, Tim was an avid basketball player as well and helped his school win numerous bouts in the court, but his main skills were seen as a goalkeeper and not the mid-fielder position he played earlier on in soccer. 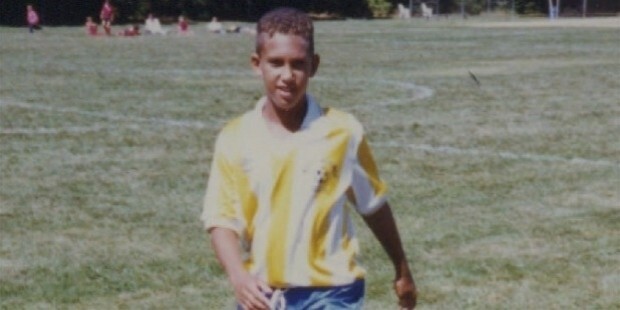 He also played for the Central Jersey Cosmos. In 1995, Tim was one of the US U-17 soccer squad as well as being selected by the North Jersey Imperials, playing his professional games even before he graduated from high school. In 1995, Tim started playing for the North Jersey Cosmos in the United Systems of Independent Soccer Leagues (USISL) and was promoted to play the goalkeeper for the Major League Soccer’s MetroStars after only 6 games in the USISL. In August of 1998, Tim made his MetroStars debut and managed 5 saves in the 4-1 win over the Colorado. Tim was part of the US U-20 national team and was heavily involved in playing for the national side during the majority of 1999 MLS season when he was part of the national squad and played in the 1999 FIFA Youth Championship in April as well as the 1999 Pan American Games in July. In 2000, Tim played for both, the MetroStars and the United States Olympic team, and helped win all 3 of his US Open Cup league matches that season. In 2002, Tim played all except one matches from the total 28 in the regular season for MetroStars and recorded 4 shootouts. He also appeared in 13 games and showed 3 clean sheets before leaving the MetroStars in 2003. 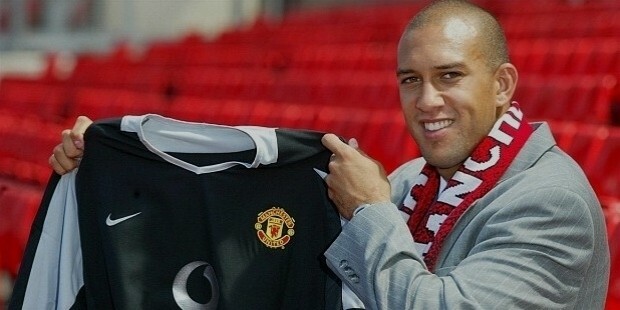 In the 2003 MLS season, Manchester United paid around $4 million for transferring Tim in the middle of the season and replaced Fabien Barthez as the 1st goalkeeper. He was instrumental in winning the Manchester United team various important matches, such as against Arsenal in the Community Shield as well as against Bolton Wanderers and Manchester City in the FA Cup tie victory. 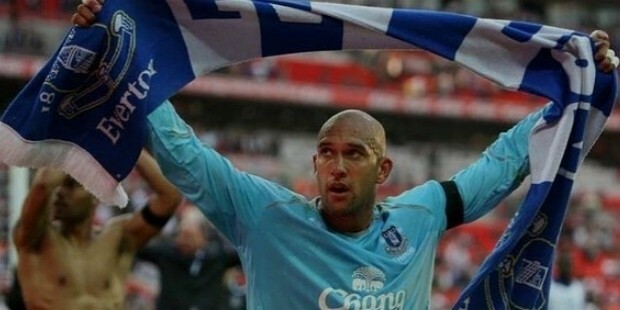 In the 2006-2007 Season, Tim joined the Everton team on loan and made his debut against Watford in the opening match of the season and went on to sign a permanent deal with Everton in 2007 for around $5 million. 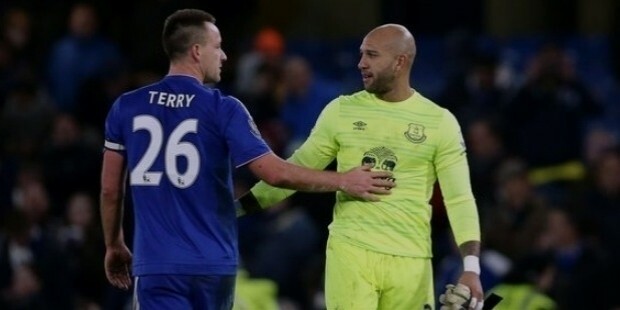 In November of 2008, Tim made his 100th appearance for Everton against West Ham United and also helped Everton reached the FA Cup final against Chelsea after saving crucial goals in a penalty shoot-out from the Manchester United side in April 2009. In the 2008-2009 Season, Tim set the club record with a clean sheet in a complete season. In December of 2009, Tim captained the Everton side to a 3-3 draw with Chelsea at Stamford Bridge ground. In the 2001-2012 Season, Tim scored his first international goal against the Bolton Wanderers and defeated them by a score of 2-1. In March of 2012, Tim extended his contract with Everton to play until the summer of 2016. In April of 2014, Everton further extended the contract with Tim till 2018. In March of 2016, it was announced that Tim would be signing up with the Colorado Rapids for the MLS for around 3 ½ years. In 1999, Tim was a part of the United States U-20 national soccer team at the 1999 FIFA World Youth Championship in Nigeria and helped secure wins over group members, including Cameroon and England before losing to Spain in Round 16. In July of the same year, Tim was selected for the US U-23 national soccer team to play in the 1999 Pan American Games tournament which his side won a bronze medal in. Tim was selected as a substitute goalkeeper at the 2000 Summer Olympics. In March of 2002, Tim made his US national senior soccer team debut in the match against Ecuador. In May of 2006, Tim was the backup goalkeeper to the US side for the 2006 FIFA World Cup in Germany. Tim was also the original goalkeeper for the 2010 FIFA World Cup in South Africa and earned a Man of the Match award against England in his World Cup debut. 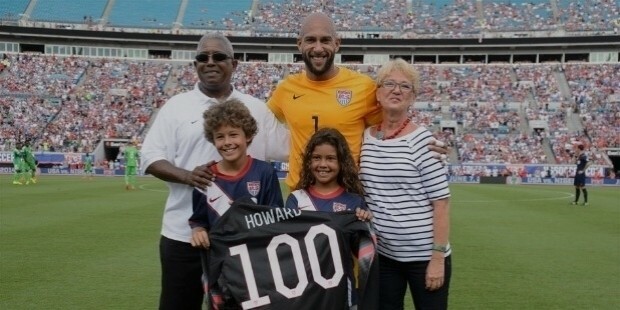 In June of 2014, Tim received his 100th cap for the US team in the 2014 FIFA World Cup against the Nigerian side which the US team won with a score of 2-1. Tim Howard is the 2nd American ever to collect a winner’s medal in the FA Cup since Julian Sturgis of the Wanderers did it in the 1873 final match. 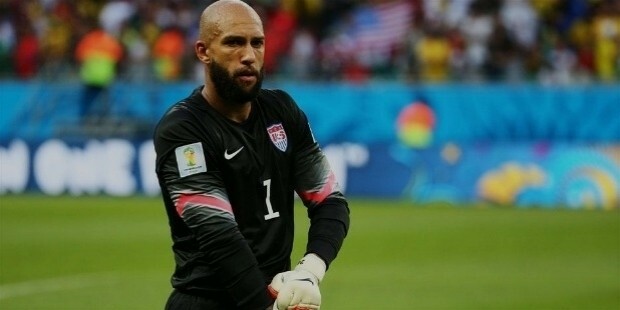 Tim Howard holds dual citizenship to America and Hungary as well. He was married to but is now divorced from, Laura Cianciola Howard. They have two children. In 2001, Tim was awarded the MLS Goalkeeper of the Year award. Tim was named as the US Soccer Athlete of the Year twice – in 2008 and 2014. In 2009, Tim was presented with the FIFA Confederations Cup Golden Glove and was also named the MLS All-Star Game MVP in the same year. He was also named on the Top 10 IFFHS World’s Best Goalkeeper of the Year list in 2003, 2009 and 2010. 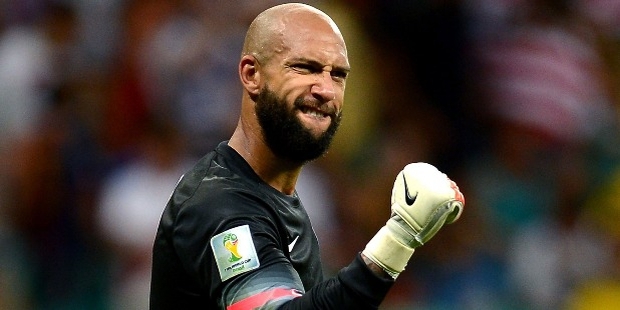 Tim has received the CONCACAF Goalkeeper of the Year award thrice consecutively – in 2013, 2014 and 2015 as well.